Layer upon layer upon layer – that’s the best way to describe the shag haircut. If you have short hair, you’ve probably heard a lot about the bob and the pixie. But if you’re someone who likes to stand out in a crowd, opt for a shag hairstyle. It looks chic and uber cool. 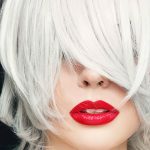 You can opt for feathered tips or choppy ends depending on your face shape. Multiple layers make it easy to style and showcase your natural hair texture. 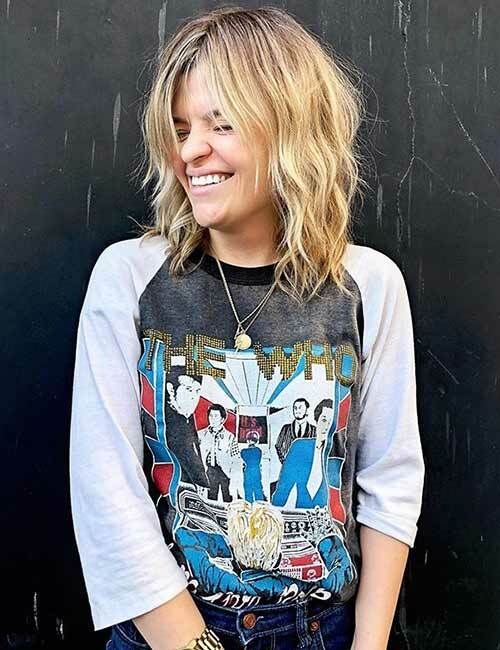 Scroll down to check out 25 super fun shag haircuts. This shag cut is inspired by the classic mullet. The mullet can be traced back all the way to the 6th century. Many women started sporting the mullet, which eventually turned into the mullet shag. 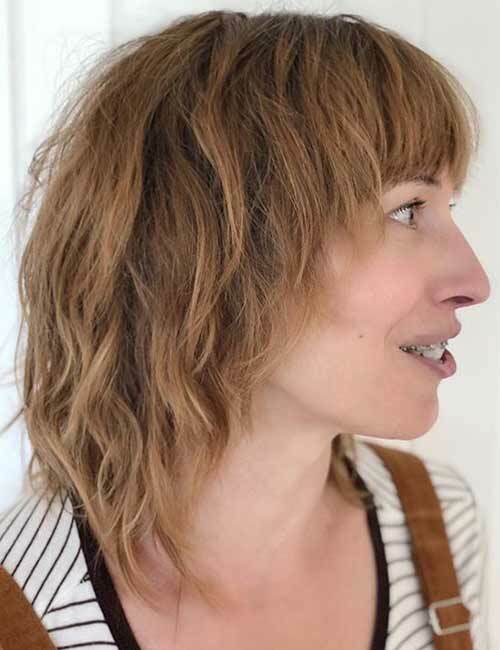 If you don’t want too many layers, opt for this shag cut. 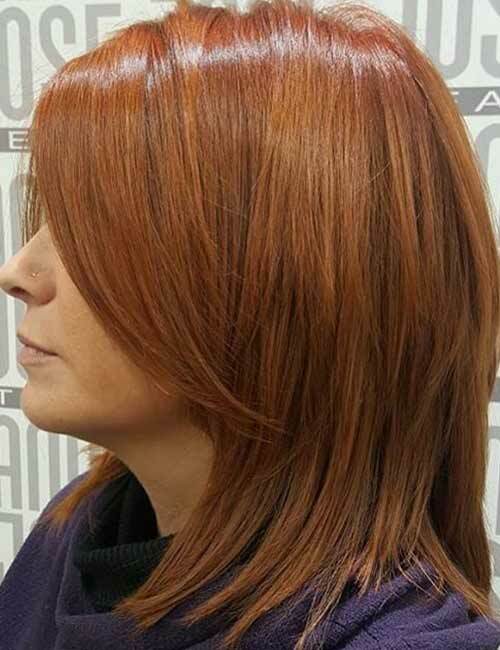 The top layer of this haircut is cut a little below the crown and colored in a light ginger shade. The rest of the hair is colored a deeper shade of red. You can also see a brown tint at the bottom that adds dimension to this look. 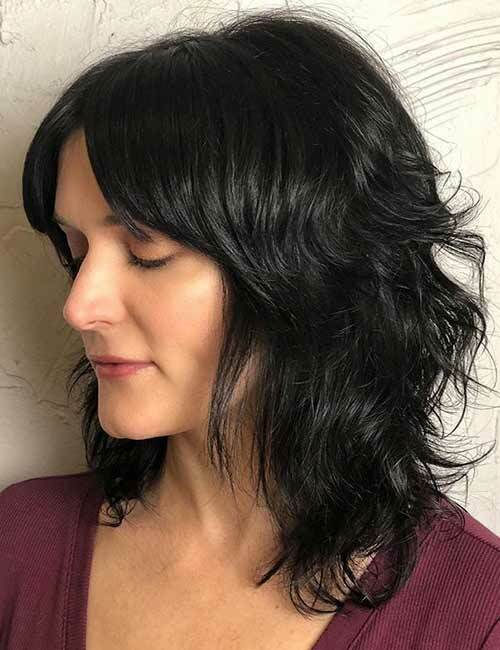 If the sharp layers of the classic shag don’t vibe with your style, opt for this shag with softer layers and feathered ends. It looks more natural and youthful. 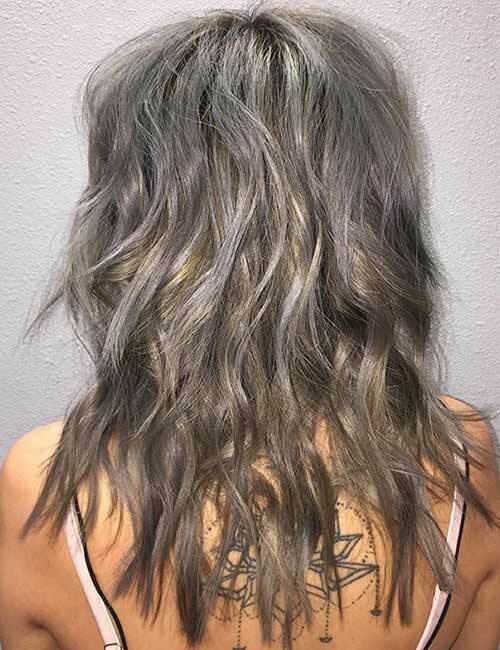 Add some light highlights to give your hair a nice beachy look. 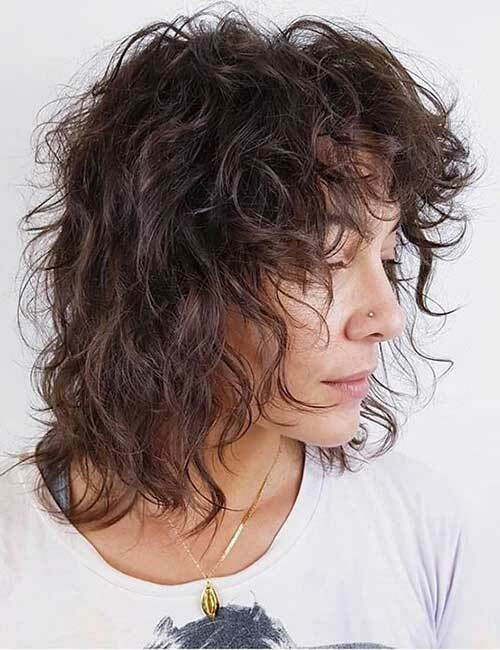 Curly hair can make shag-cut layers look effortless. These curly layers fall over one another seamlessly. The feathered bangs accentuate the hair texture by adding a nice contrast to the curls. Sharp edges can make for an edgy haircut. Pair those sharp edges with a multi-layered shag cut. 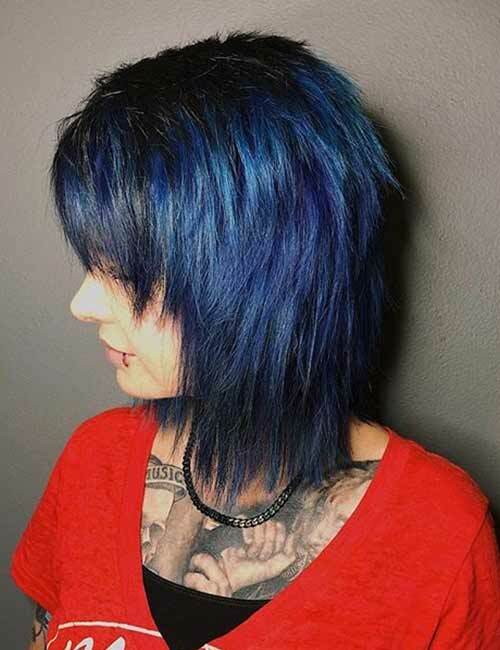 The blue dimension of this hair look showcases the hair texture perfectly. The sharp ends also help frame your face. I’m sure you’ve thought of coloring your hair at least once in your life. 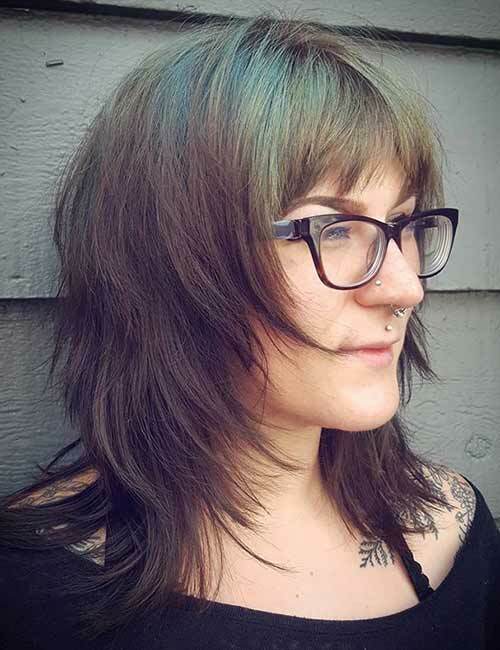 Coloring your hair can enhance the layers of your shag cut. This colorful shag is the perfect symbolism for feminine energy and playfulness. 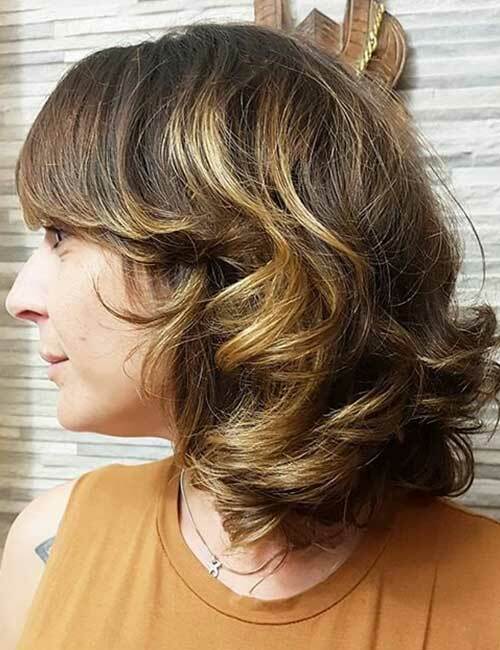 A shag cut can seriously enhance your wavy hair. Do note how the ends are pointed outward to create a dynamic style. This haircut is recommended for anyone who wants to add more volume to their hair. Sweet and spicy notes make for a heavenly combination. 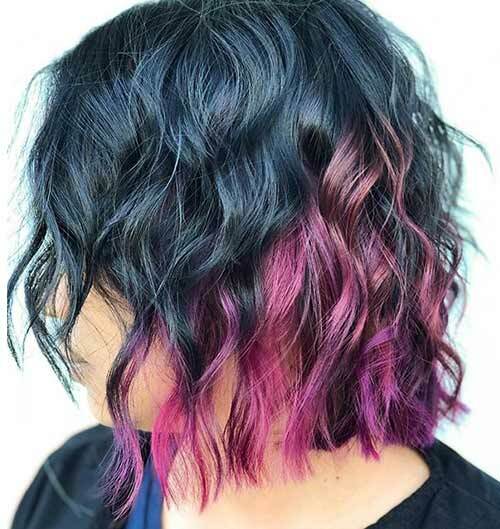 Cranberry and cinnamon shades can take your locks up to a perfect ten. Though blunt bangs usually don’t suit fine-textured hair, they look good when paired with a thick shag cut. When you’re working and have a busy schedule, styling your hair becomes more of a task than a hobby. 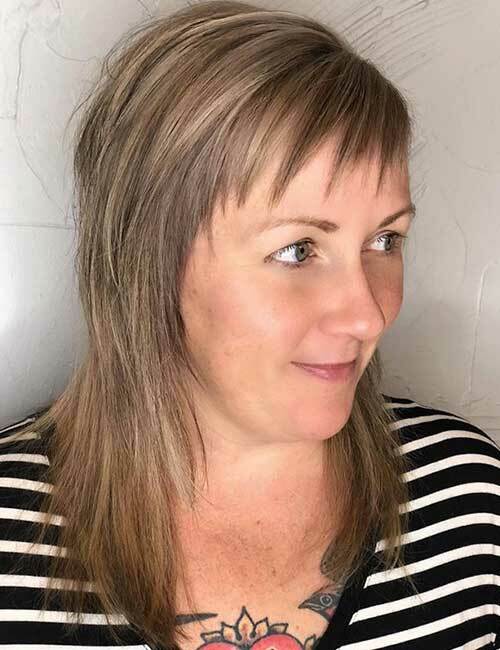 Consider getting this modern straight shag cut. This shag haircut will look great on you especially if you have thick hair. Yellow is a warm-toned color. 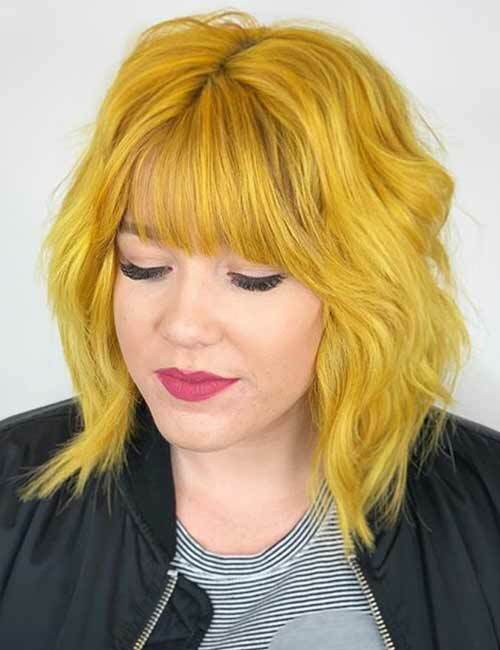 A bright yellow such as this hair shade will suit fair women with a warm undertone. The thin front bangs accentuate the volume of the rest of the hair. This messy hairstyle and color combo looks wild. 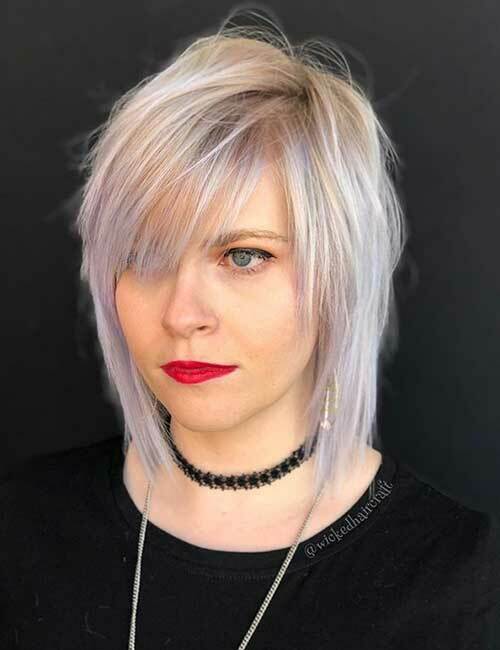 Lilac hair with gray and blonde highlights makes for a gorgeous cool-toned hair look. It’s the messiness of the hair that makes this shag cut look chic and young. Back in the day, the shag cut was all about sharp ends and accentuated layers. Now, it’s more about style. 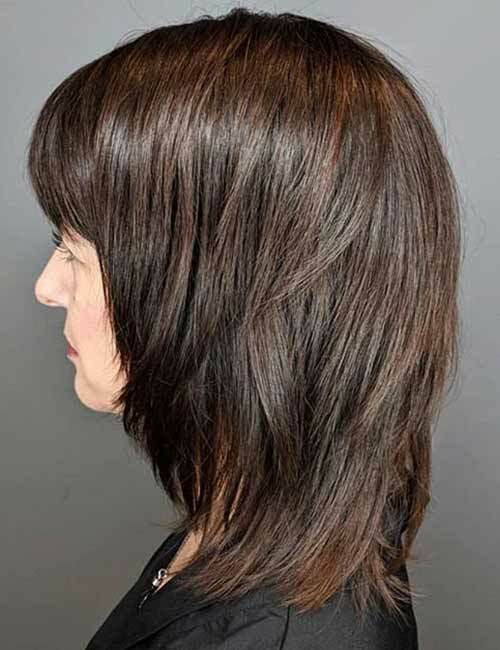 In this shag cut, the layers are concentrated at the top and cut soft. This is the perfect haircut for anyone with thin hair. 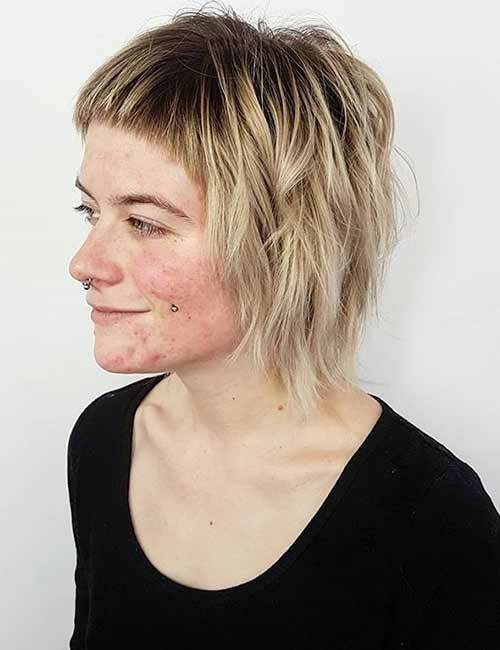 Here’s a modern twist to the mullet. The mullet was known for being wavy. 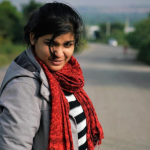 Styling it straight made it perfect for women. You can see the crisp layers clearly this way. The mullet also used to be short at the front and long at the back. 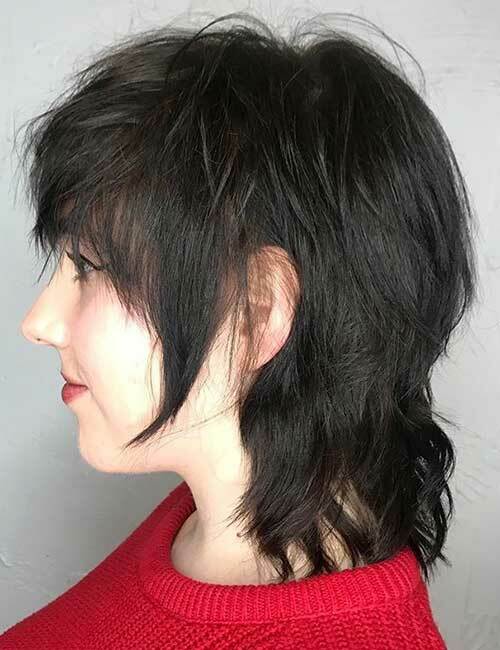 In this modern mullet, the hair is slightly longer at the sides than at the back. The parted bangs add some great dimension to the face and help in framing it. 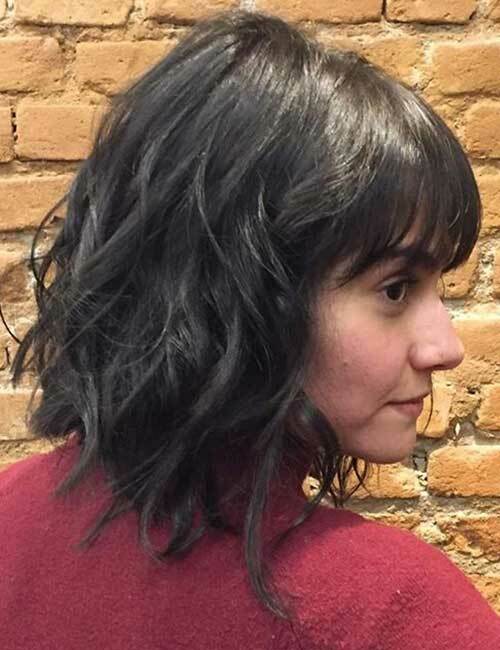 This thick shag is all about layers and bangs. These softly cut layers are great for accentuating your jawline. The messy, uneven bangs work to make you look younger. Sideburns were never my thing because I have always associated Elvis Presley with them. But, I have to admit, these sideburns take this shag cut to a whole new level. They add a nice elvish touch to this look! Wavy hair adds volume and dimension to your tresses. But, when not styled right, it can look like a total mess. The best way to style it is in shallow shag layers and straight-cut blunt bangs. Who doesn’t want that “just rolled out of bed” messy hair look? 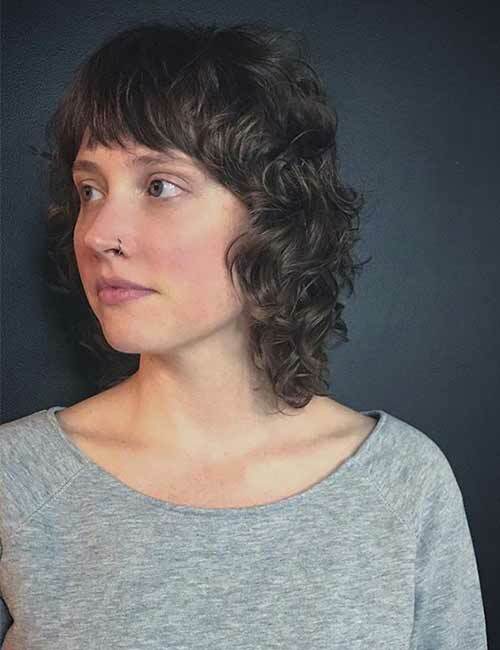 I think a curly shag is the best way to achieve that look. The curls in this look are not perfect coiled, which adds to their perfection. Let’s face it: we all wanted to get a cool emo haircut in our teen years. The emo shag cut is still a teen favorite. 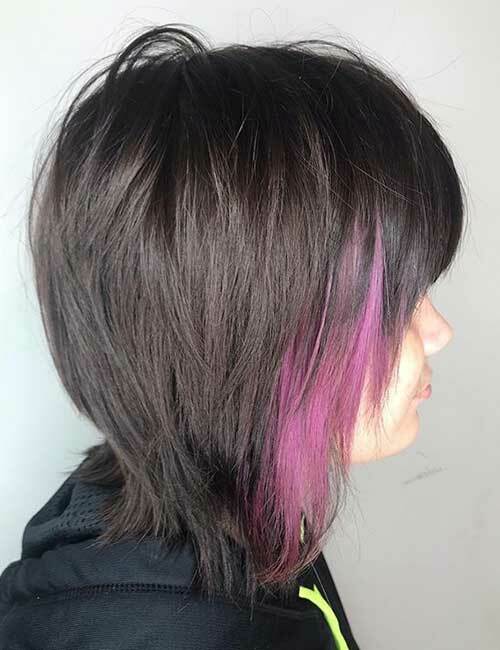 Multiple layers and a dash of brightly colored highlights are this hairstyle’s winning features. Obtaining those perfect Hollywood waves may seem like a difficult task, but there are some easy ways to achieve this look. Just roll the ends around a round brush and blow dry them. 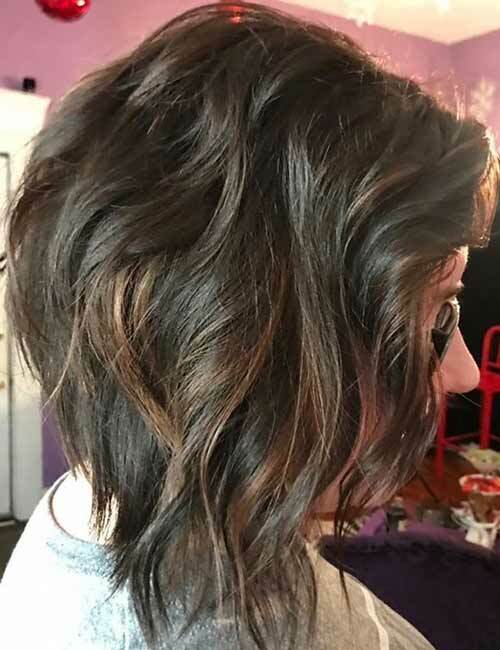 This technique is much easier to do (and even looks better) on a shag haircut. If you have fine-textured hair, this is the best way to add volume to it. Ask your hairstylist to give you a shag cut and feather out the ends. The feathered ends will make your hair look more voluminous. This is the perfect hairstyle if you want to look a few years younger. The layers are spread all over but more predominant at the front. The teal highlights add a bright pop of color. But, keep in mind that you will have to style your layers every morning to make them look perfect. 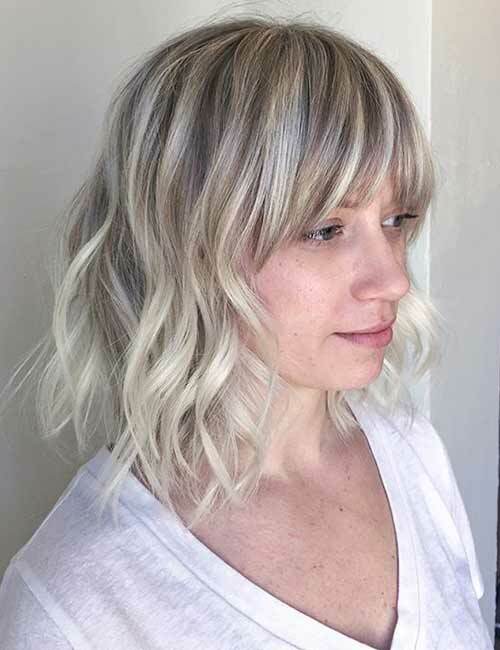 If you are an older woman who does not want too many layers, consider this lob shag. 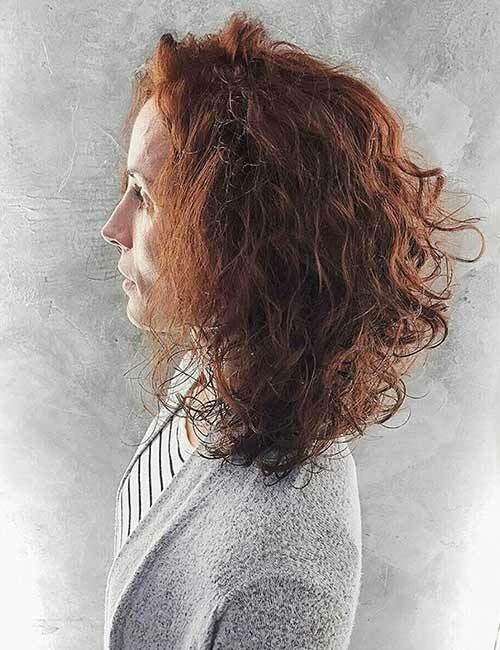 These soft layers blend in with each other seamlessly without making the ginger curls stick out at awkward angles. 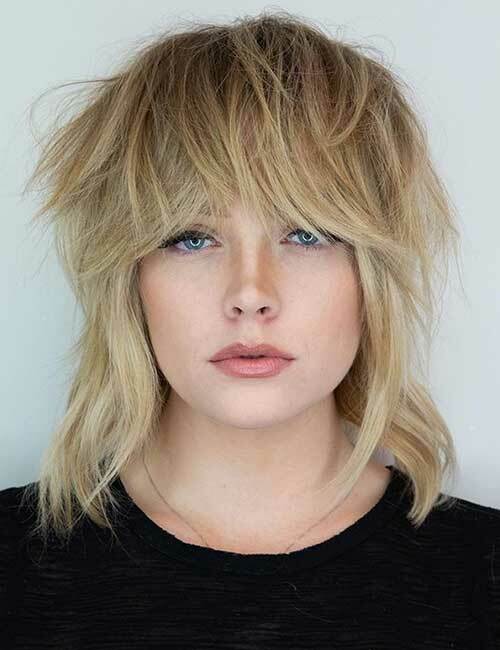 Thick blonde hair with multiple layers at the side and longer layers at the back – this has to be the perfect wild child hairstyle. 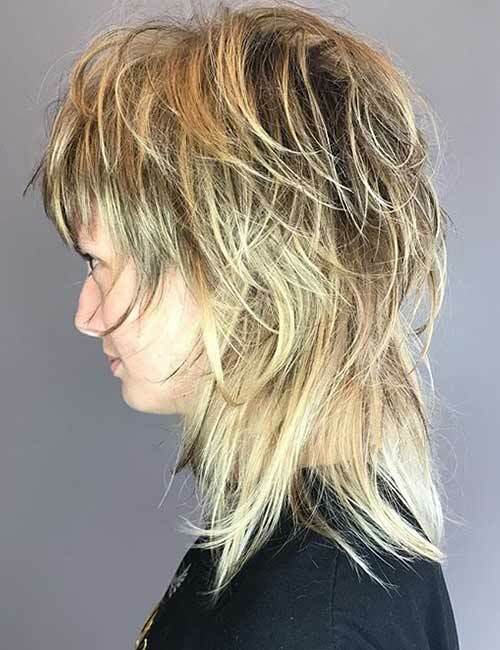 Thick dishwater blonde hair is accentuated with multiple layers all over the head in this hair look. Notice how the layers at the back are longer. So youthful! 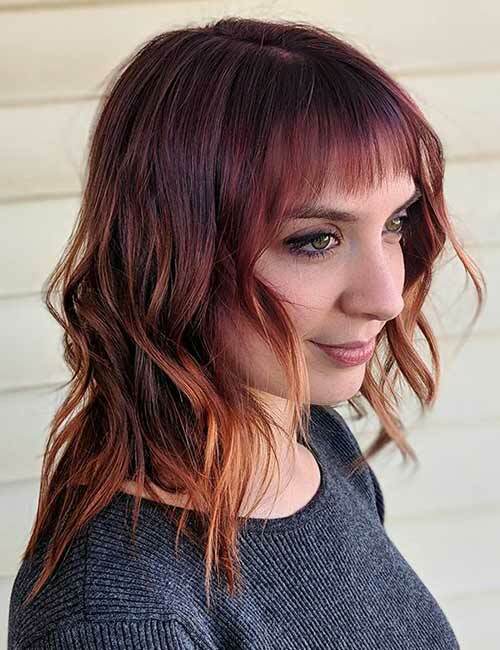 A dimensional hair color look is a great way to add texture and volume to your locks. The layers also add definition and bounce to your tresses. This look is perfect for autumn and winter. Baby bangs look great, but they are not for everyone. If you have an oval face, go for it! The dark roots add texture to the hair and help in framing your face as well. They also make your face appear slender and long. A shag haircut is for anyone who wants to let their inner wild child out. 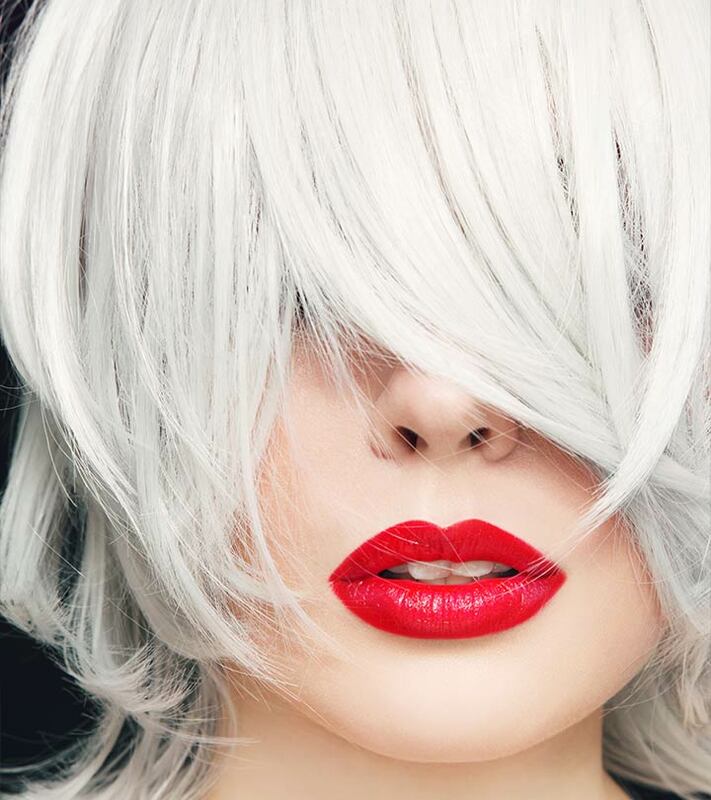 Let go of all your inhibitions and try out one of these looks. Don’t forget to comment below to let us know which of these shag cuts you are going to try out.